The House on Wednesday passed a measure to delay ObamaCare’s health insurance tax for two years and expand Health Savings Accounts, part of a GOP effort to try to lower premiums. The bill, which passed 242-176, is part of a Republican effort to blunt Democratic attacks on the GOP for rising premiums – a key argument in the midterm elections this year. “This is a flawed tax that gets passed onto American families,” Rep. Peter Roskam (R-Ill.) said on the House floor. Democrats, though, said the measures would have no substantial impact on premiums, and instead pointed to Republican efforts to protect themselves in the midterms. “It's a political exercise, it's aimed to help people who are in a vulnerable political position,” said Rep. Sander Levin (D-Mich.). He pointed out that there appears to be little chance the bill will pass the Senate and become law. 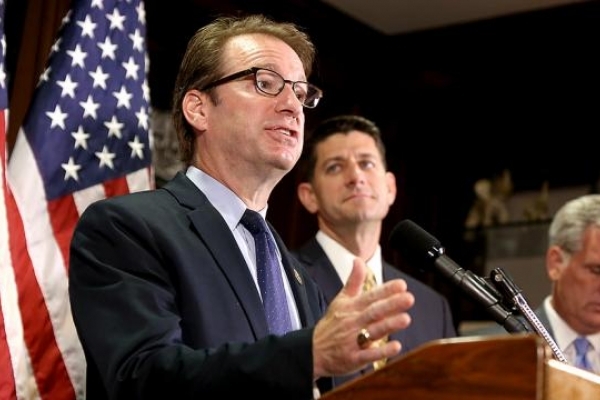 Roskam, for example, faces a tough reelection race this year, and could tout his sponsorship of the bill. The health insurance tax has already been suspended for 2019. This bill suspends the tax for 2020 and 2021 as well. The measure also expands Health Savings Accounts, tax-free ways for people to save for health expenses, and expands the number of ObamaCare enrollees eligible to purchase lower premium “catastrophic” plans with high deductibles. Democrats criticized the overall cost of the measures, which combined with Tuesday’s repeal of the medical device tax, comes to around $90 billion over 10 years. The bills are not paid for.